MHSG will again join the festive celebrations in St James Square on Saturday 1st December for ‘A Very Merry Muswell’. 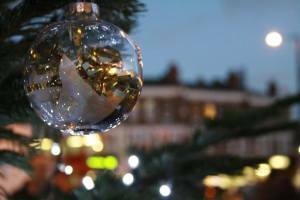 Visit our stall at the festive market and try our Christmas ‘plastics-free’ prize quiz – you could win a £40 voucher to spend at the Clissold Arms in Fortis Green. There’ll also be seasonal food and drink and offer and entertainment both outdoors and inside St James Church – see the programmes here. At 4pm the Christmas tree lights will be switched on by the cast of the Gingerbread Man at Jackson’s Lane Arts Centre. We wish you a very merry Christmas when it reaches us, see you next Saturday!